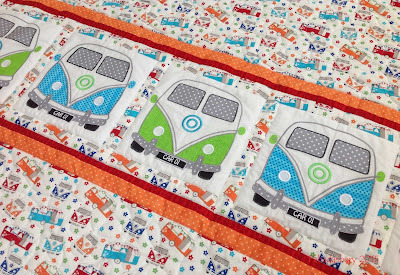 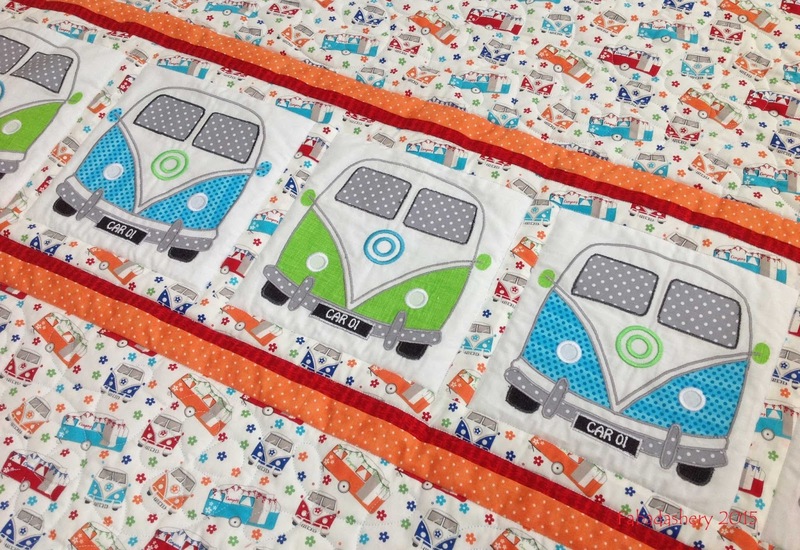 This VW Camper Van quilt was a fun quilt to do. 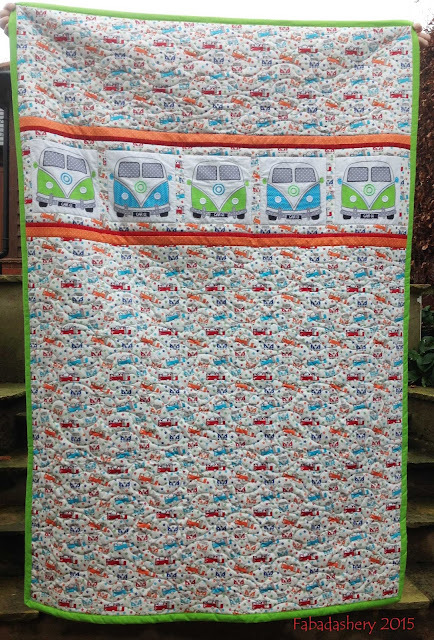 It was made as a gift for a VW Camper loving teenager, so I imagine it is going to get some heavy use on camping trips. 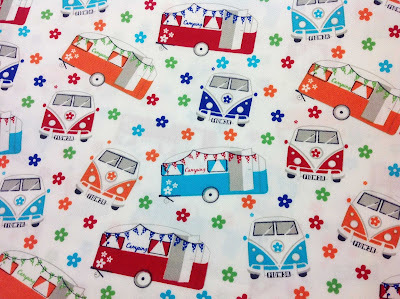 The main camper van fabric is designed by Victoria Louise for Craft Cotton and using the Mk 1 VW camper van motifs on the fabric a larger applique pattern had been designed to add a focus to the quilt. 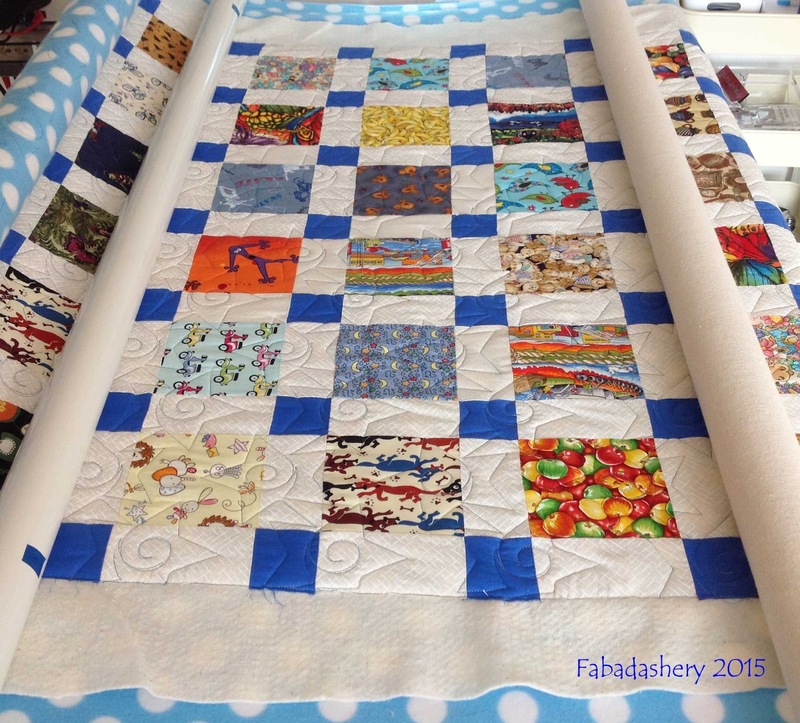 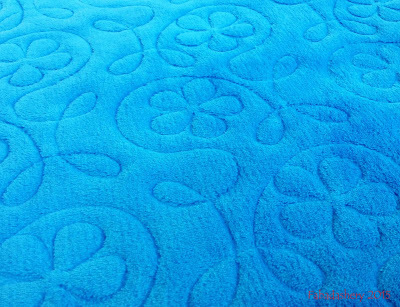 As Cuddlesoft / Minky is essentially a knitted fabric it does have a bit of a one-way stretch in it and this was something that had to be given careful consideration when mounting it onto the longarm quilting frame. Also when it was stitched, the pile from the cuddlesoft did sometimes pop through to the front, so the colour combination may also be something to consider if choosing it for backing your quilt. 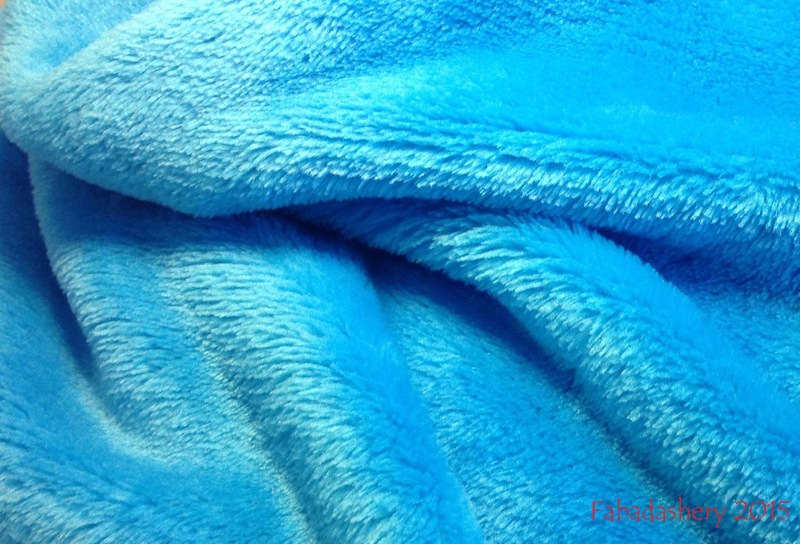 I would imagine that this would subside with use and a wash. 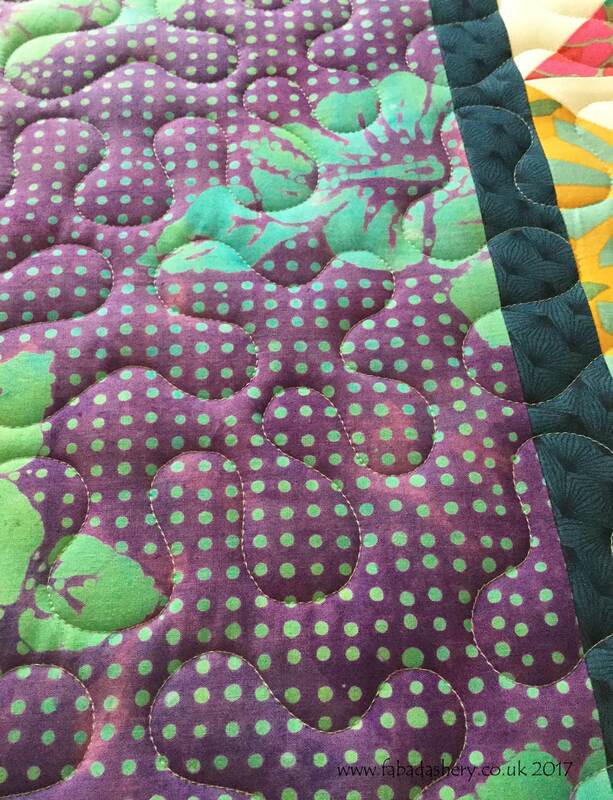 I love spotting all the different fabrics in an Eye Spy quilt. 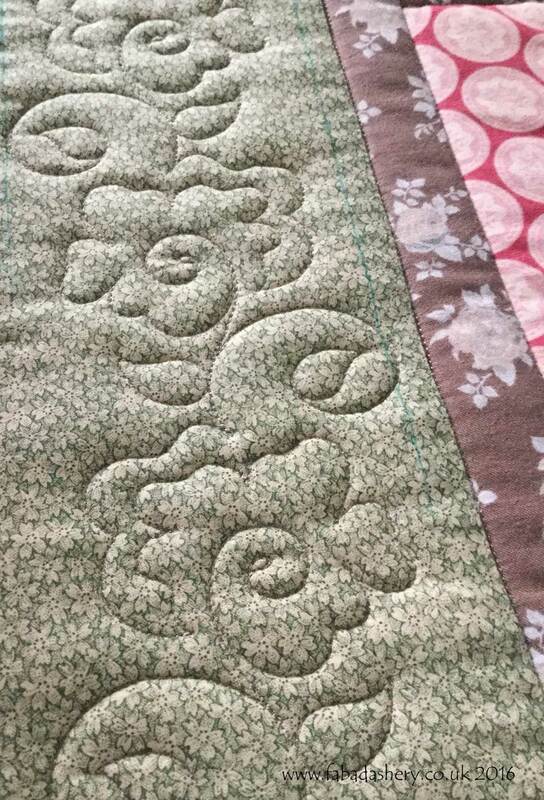 This one had dogs, food and aliens in it! This is another special quilt destined for Project Linus UK (South East Wales). 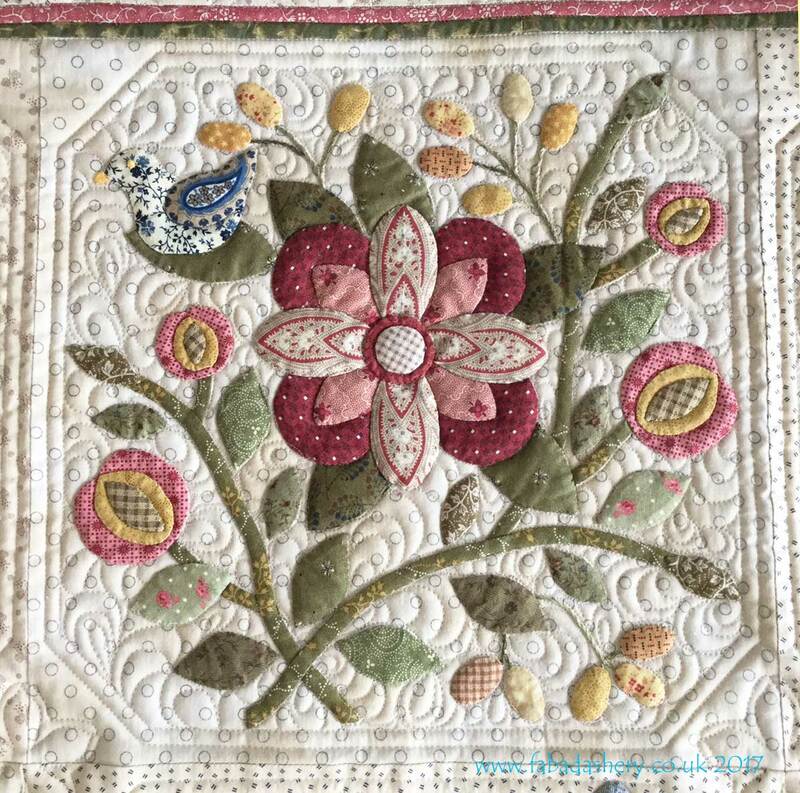 At this stage we don't know who it will be for, so it has been quilted with a 'Starlets' pattern, so that it is appropriate for a range of recipients. 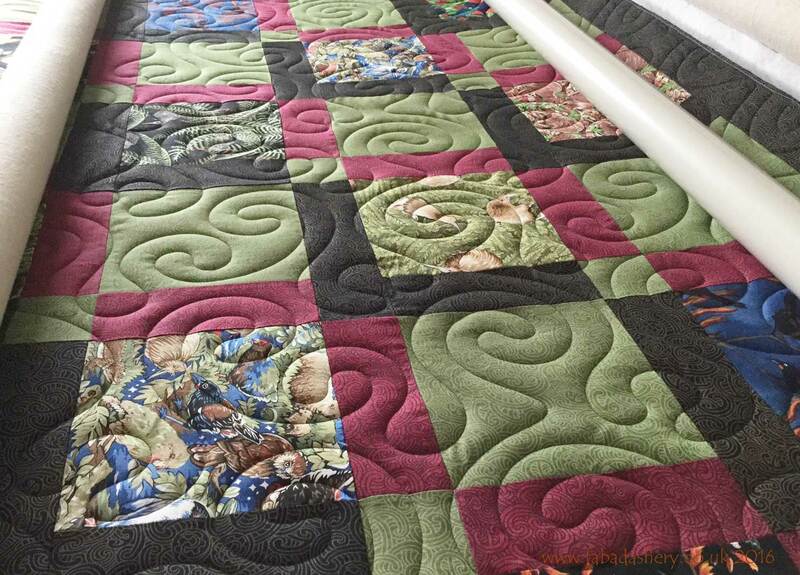 If you are interested in getting involved with Project Linus UK, they will be at the Festival of Quilts this week, from 6th - 9th August 2015, at the NEC, Birmingham. 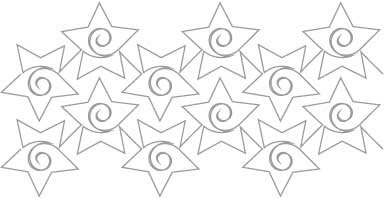 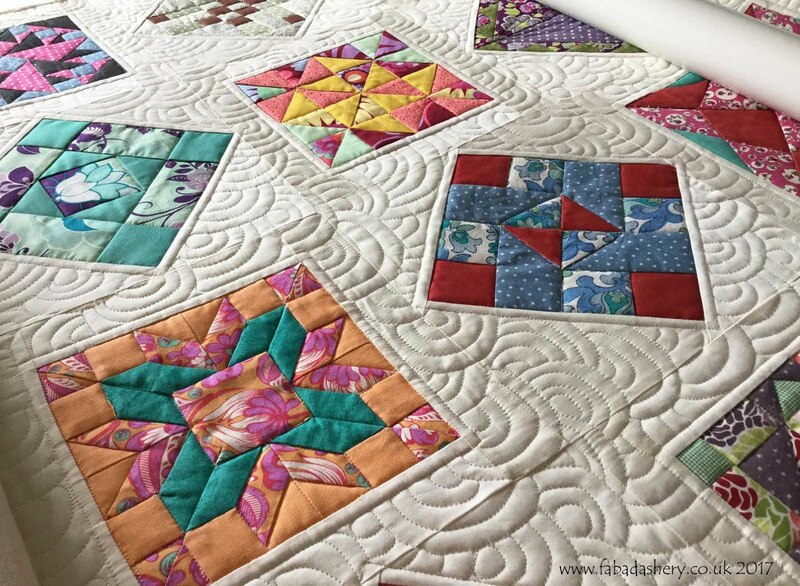 ﻿Often when presented with a quilt for longarming there are several designs which might be suitable, each of which would give the quilt a quite different character. 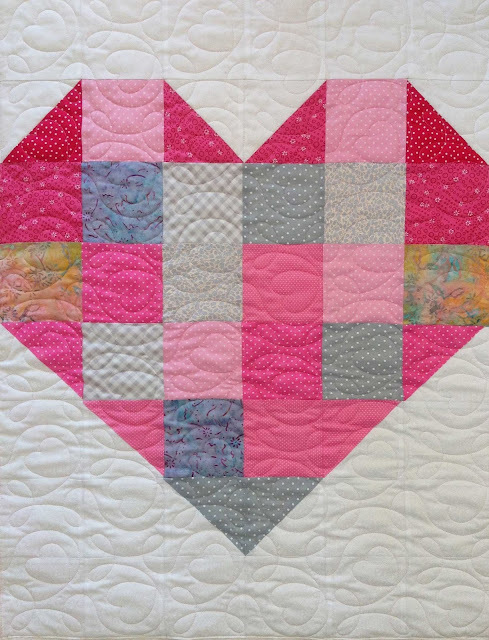 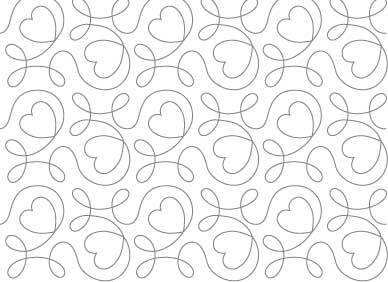 However, on this occasion when I saw this heart quilt I immediately thought of a pattern 'Ginger Hearts' by Hermione Agee. 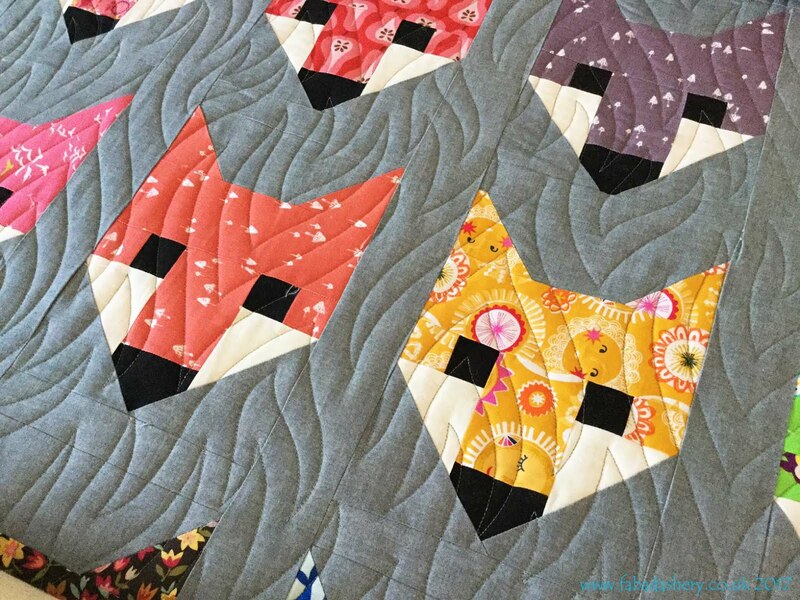 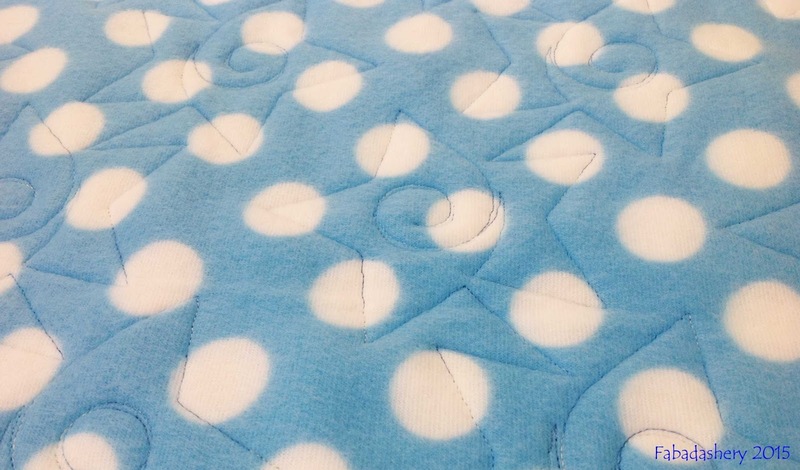 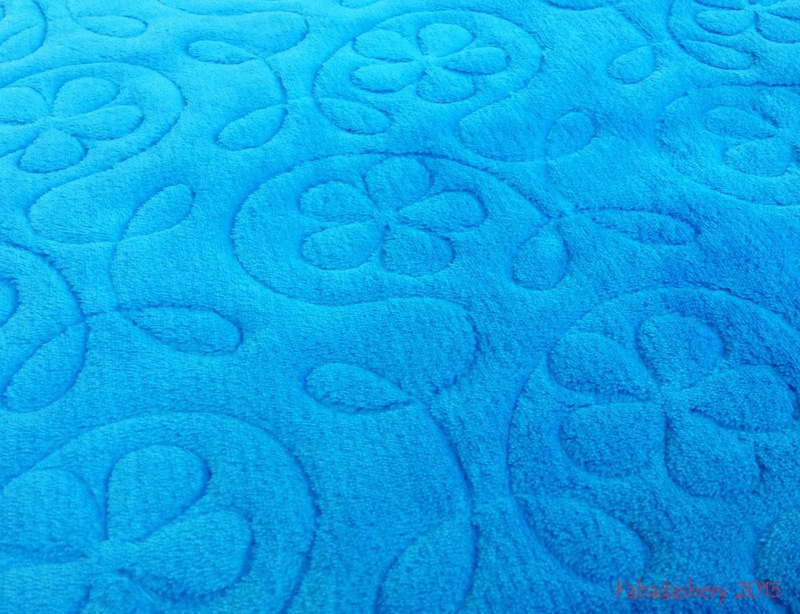 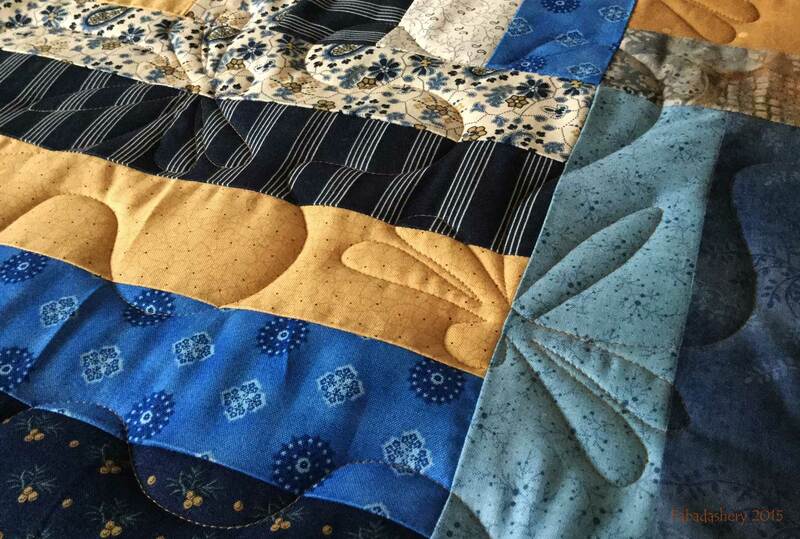 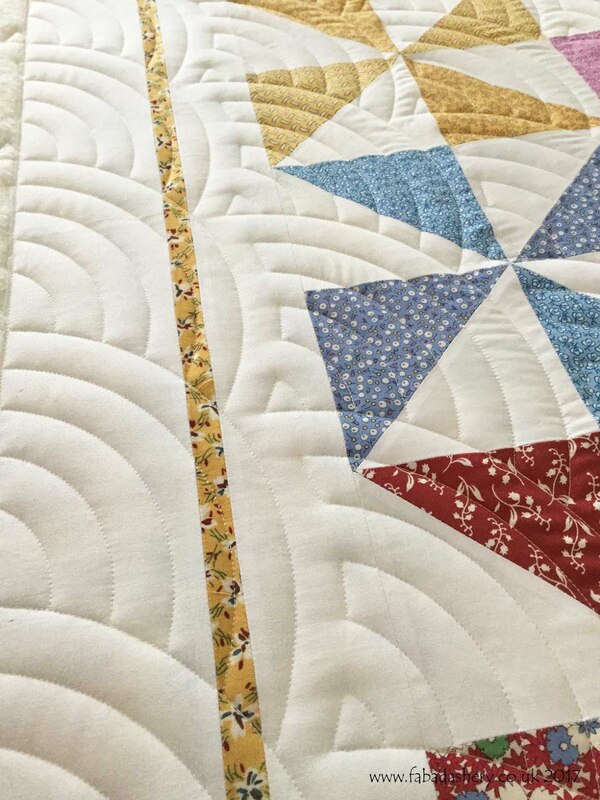 It has a lovely flow, which provides the quilt with an even all over stitch, making it a great quilt to cuddle. 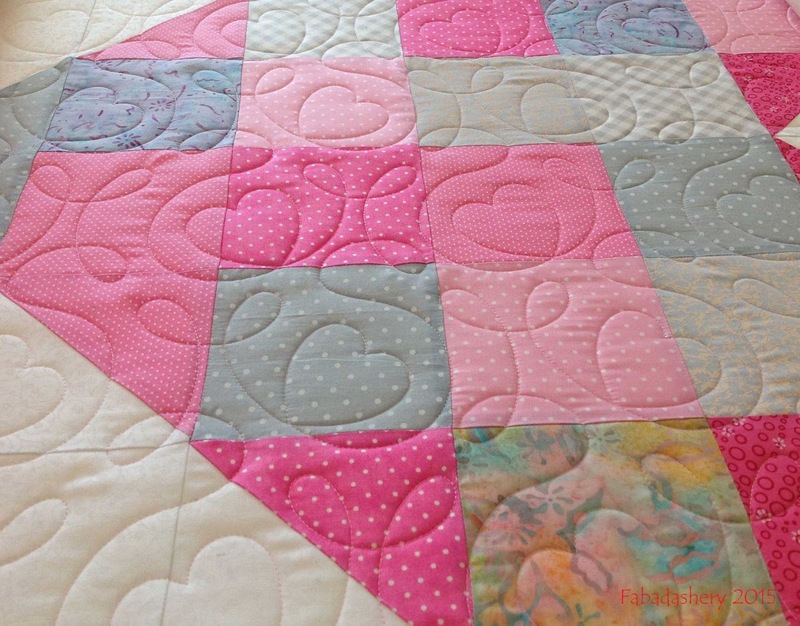 It is stitched using a vey pale pink Isacord thread, which looks great on the pink and the white background. This small quilt has been made by one of the volunteers of the Project Linus UK(South East Wales). 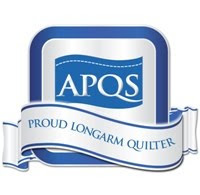 If you are interested in getting involved with Project Linus UK, they will be at the Festival of Quilts this week, from 6th - 9th August 2015, at the NEC, Birmingham.